This page will be populated regularly with reports, presentations and other project documentation from the AENEAS project. All AENEAS project outputs adhere to the Open Research Data Policy, which is part of the European Open Data Policy and are informed by the proposed data access policy of the SKA (see section 4.3 of the Concept of Operations document) . Please, review our Copyright Notice at the bottom of the page before using parts or whole documents from this website. In October 2017, AENEAS approached the management of astronomical facilities in an attempt to gather information on the management organization of existing facilities, the capabilities and services they provide, the policies that are commonly applied, and the ways in which they support their users. The goal of this survey was to identify potential differences in the operations of current facilities and how future SKA regional centers should operate in order to handle the unprecedented data volumes as well as pinpoint successful management approaches that can be applied to the future European SKA regional center. You can view and download the full report on the survey data and a report on how it translates to a set of recommendations for the future European SKA regional center. 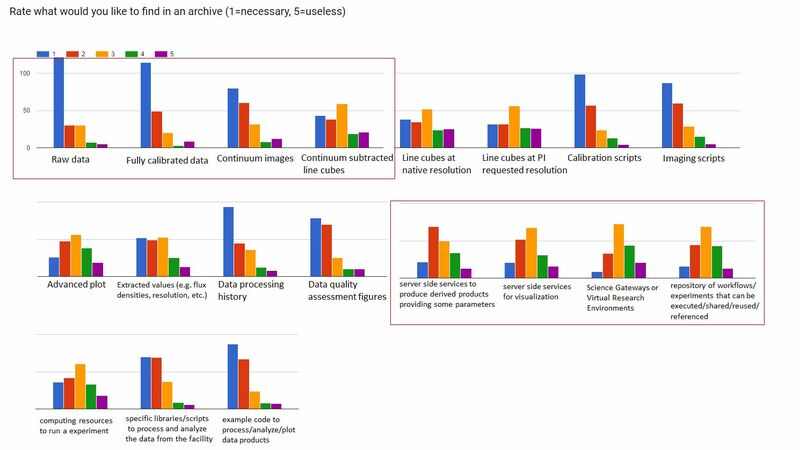 Close to half of the facilities participating in the survey indicated that more than 90% of their archive data is accessed and downloaded by astronomers in raw format. Many of the current facilities are staffed with scientists and technical staff who manage the observatory instruments and archive. The era of SKA will require a new set of highly trained ICT staff that can run the operations at the SKA regional centers (SRCs). SRCs will need to (1) handle the unprecedented data volumes of the SKA, (2) manage the distributed network of regional centers that need to operate in unison, and (3) offer advanced services that each regional centers need to provide to astronomers for data analysis. While currently facilities spend less than 5% of their budget on data storage and web interfaces, the expected fractional cost for the same is higher in the case of the SKA regional centers. The SKA data volumes are much larger and downloading data from the archive for local processing becomes unsustainable. In the case of SKA, regional centers need to provide astronomers with the analysis tools to manipulate data and extract science via web interfaces. 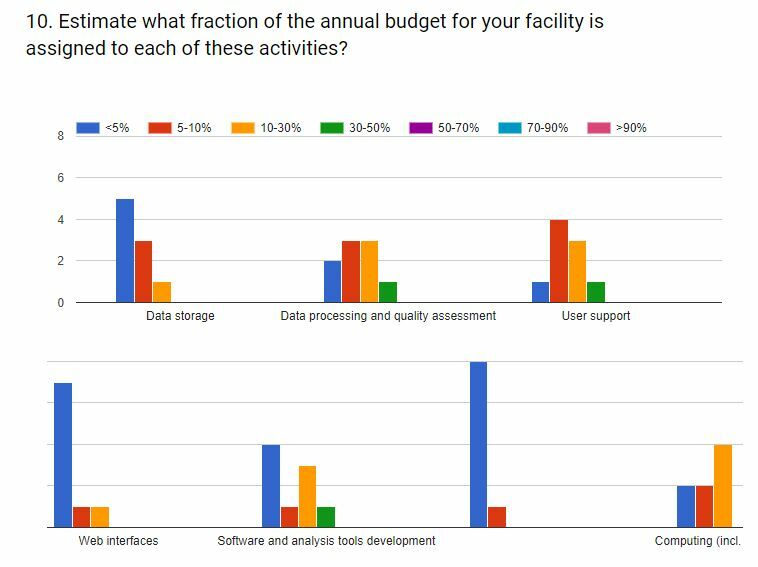 In Oct 2017, we conducted a survey among the users of astronomical facilities to find out the ways in which they interact with observatories and use their data archives. The survey responses ( a total of 201 users 75% of whom indicated that they work at a European organization) provide an important input to the design recommendations we will make for the European SKA regional center. A summary of key responses is shown below. You can also view and download the full report on the survey data and a report on how it translates to a set of recommendations for the future European SKA regional center. About 70% of respondents handle datasets that are less than 100 GB using personal workstations. Typical datasets for SKA are expected to increase at least by a factor of 100-1000 in the next decade. Where is the raw data? Most astronomers expect to find raw data in observatory archives that they can download and analyse locally. 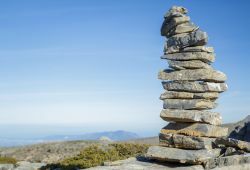 There are currently little to no expectation that observatories provide server side services for analysis and visualization or that they should serve as science gateways or virtual research environments. This model should change in the era of SKA. Users of SKA precursor facilities indicated that it was most difficult to deal with the high data volumes and ways to store these data making it obvious that SKA regional centers need to stand between the observatory and end users ensuring user-friendly, reliable and trust-worthy access do SKA data and tools for scientific analysis. Astronomers prefer stand-alone desktop/workstation for data analysis and visualization with a moderate fraction of them relying on institutional computational infrastructure for data reduction. This model is expected to change with the SKA where regional data centers will be the main portal for data access and analysis of SKA data. Astronomers indicated that they self-learn about processing of data from specific observatory based on provided documentation or email exchange with observatory personnel or colleagues. 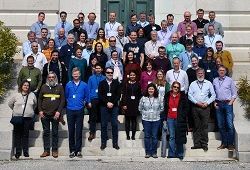 Training astronomers to interface smoothly with the SKA regional centers is critical in the science extraction chain, requiring that these centers provide comprehensive documentation, extensive helpdesk and a variety of other methods for education and training. The work published on this website is licensed under the Creative Commons Attribution-Noncommercial 3.0 License. To view a copy of this license, visit http://creativecommons.org/licenses/by-nc/3.0/ or send a letter to Creative Commons, 171 Second Street, Suite 300, San Francisco, California, 94105, and USA. The work must be attributed by attaching the following reference to the copied elements: “Copyright © Members of the AENEAS Collaboration, 2017. See www.aeneas2020.eu for details of the AENEAS project and the collaboration”. 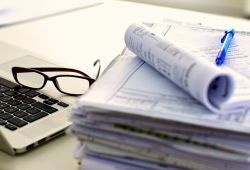 Using documents published here in a way and/or for purposes not foreseen in the license, requires the prior written permission of the copyright holders. The information contained in the documents published on this website represents the views of the copyright holders as of the date such views are published.